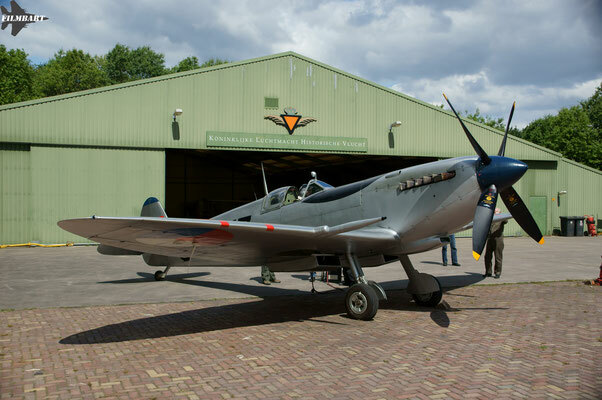 The Royal Netherlands Air Force Historical Flight is a flying museum, completely run by volunteers. The foundations fleet of 12 different types, including WW2 icons like the Spitfire and B-25 makes every aviation enthusiast heart beat faster. For the past few years I have been creating documentaries for this foundation. Together with Arjen Jongeling we try to tell the story behind all the beauty. Not just any flyby: this is the story of Gerards first flight as a B-25 captain. The first time in the left seat, with the King of the Netherlands as spectator. The story of an icon! The KLuHV Spitfire is a real WW2 veteran and was almost ready to be scrapped. A small group of devoted guys decided to bring her back to life! A childhoods dream: flying in a Spitfire becomes reality. But it takes dedication and lots of training hours. Bridge 11 is ours! To commemorate the successful capture of the bridge at Grave a flypast was made by the B-25 and Spitfire.